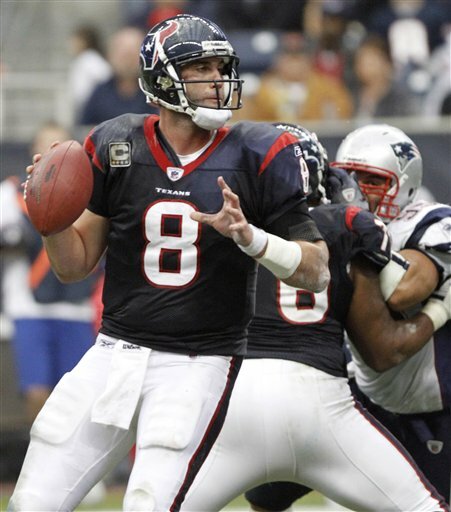 Matt Schaub put up moster numbers in 2010 to lead the league in many passing categories. I haven’t played fantasy football in about 8 years and I don’t plan on playing anytime soon in the near future. Well, I may play this year just to see how well I do, but I am not certain on that. Anyway, I have had many people tell me that they are going to come to me for fantasy football information when it’s time for them to draft their teams, because of my wealth of knowledge about the game of football. After thinking about it, I figured instead of waiting for people to come to me with fantasy football questions, I would just come to them by writing a fantasy football blog. So on next Wednesday, July 7th, 2010. I will be posting what I am going to call “The ultimate NFL fantasy football blog.” It will be an informative blog on players and defenses that will be based on their schedule, team strengths and weaknesses as well as tendencies. 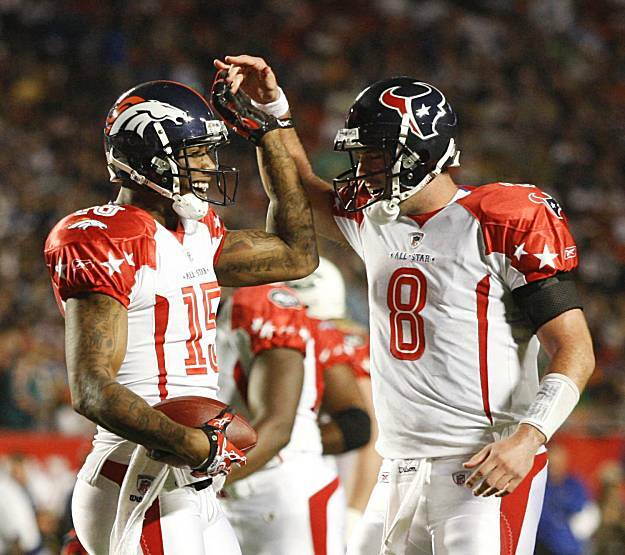 For example, Brandon Marshall will not be in my top 5 of wide outs to draft. With a QB in Chad Henne who is still maturing, a Miami Dolphins offense that doesn’t have a very intricate passing game, the “wildcat” and becasue of double and triple team coverages that Brandon will be facing. I just don’t see Brandon putting up the numbers that he has in the past, nor do I see him scoring a lot of touchdowns since Miami will be using the running game or “wildcat” to score when in the red zone. I am not going to say that my fantasy football blog will be the bible of how you should draft on your draft day. But it will be another tool for you to use when evaluating players for your team. The ultimate NFL fantasy football blog, coming next Wednesday on July 7th, subscribe now so that you will have it in your email box for you to refer back to come draft day.